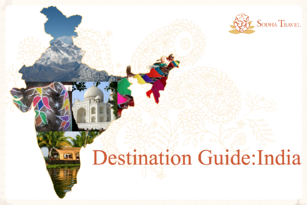 Download Sodha Travel's India Destination Guide and Start Planning Your Travel Adventure Now! 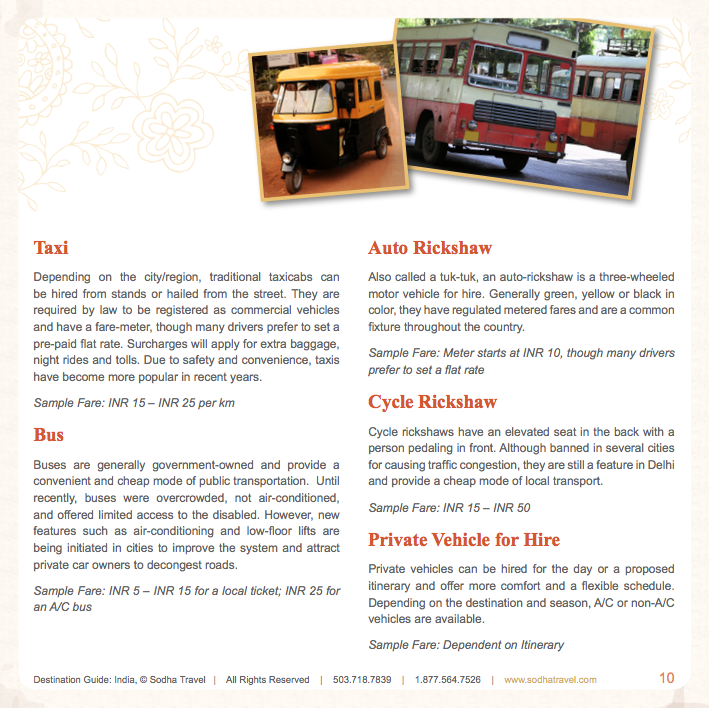 Sodha Travel’s India Destination Guide highlights Indian customs and travel propriety. You will receive comprehensive information that includes the visa process, vaccinations, currency exchange, communication, local transportation, and social etiquette. The guide also answers some cultural conundrums: Can you eat with your left hand? And why are there so many cows? To receive the India Destination Guide, please fill out the form above. Your guide will be sent to the email address you provide and available for immediate download. By claiming your free guide, you will be added to our mailing list and all of your information remains confidential. We never sell your information to any third party because our passion is for travel, not spam. Our team will send you periodic newsletters that include important travel advisories, destination updates, upcoming tours, traveler tales, and more exciting travel goodness! Yes, I'd Like to Learn More About Traveling to India!